Top quality fresh cut flowers & foliage directly from Israeli growers. Worldwide delivery by air cargo. Best prices and quality you can get from Israeli suppliers & exporters. Packed and transported in regulated temperatural conditions. Guaranteed freshness and long shelf life for fresh cut flowers & greens. 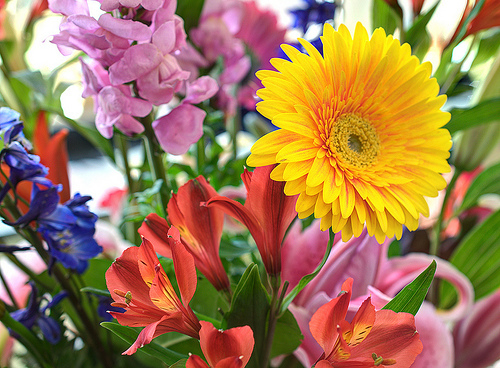 Farm fresh grower direct FLOWERS from following varieties: Achillea, Aconitum, Agapanthus, Alstromeria, Anemone, Anigozanthos, Kangaroo Paw, Antirrhinum, Asclepias, Aster, Astilbe, Banksia, Calla, Zantedeschia, Campanula, Capsicum, Carthamus, Celosia, Craspedia, Crocosmia, Curcuma, Desert Yearning, Delphinium, Diantus, Echinops, Eremurus, Gerbera Mini, Gerbera Standart, Gladiolus, Globularia, Godetia, Gomphrena, Green Bell, Grevillea, Gypso, Gypsophila, Hippeastrum, Iris, Ixia, Kniphofia, Leucospermum, Liatris, Lilium, Limonium, Lisianthus, Eustoma, Matthiola, Matricaria, Moluccella, Narcissus, Ornithogalum, Ozothamnus, Paeonia, Phlox, Prothea, Ranunculus, Solidago, Statice, Strelitzia, Sunflower, Trachelium, Tulipa, Veronica, Wax Flower, Roses, Small Head Roses, Roses Tea, Rose S.H., Gerbera. GREENS of the following varieties: Acacia, Adenanthos, Agonis, Aralia, Artichoke, Asclepias, Asparagus Falcatus, Aspidistra, Bear Grass, Chondropetalum, Coculus, Cotton, Croton, Cycas, Cyperus, Cyrtomium, Eucalyptus, Euphorbia, Euonymus, Fern Polypodium, Grevillea, Hedera, Hibiscus, Hypericum, Kochia, Leather Fern, Leucadendron, Mercina, Melaleuca, Monstera, Murraya, Myrtus, Palm, Philodendron, Photinia, Prunus, Pittosporum, Rhamnus, Ruscus, Rotem, Salix, Sharon Fern, Steel Grass, Viburnum etc. Unbelievable price on Fresh Cut Flowers & Greens. Flora Export S.G. Israel in תלמי ביל"ו (ישראל) company Flora Export S.G. Israel, LTD.